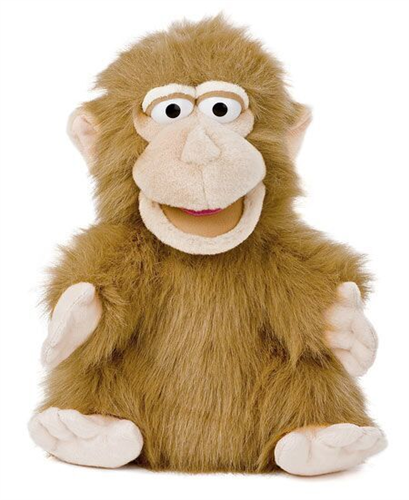 Silly Monkey is now available in a hand puppet size. 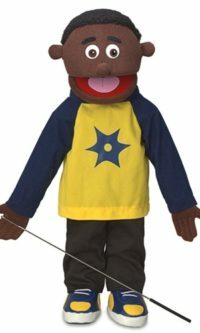 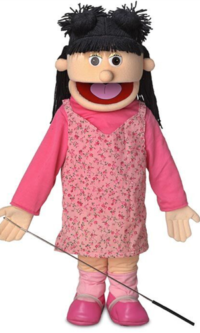 Simply slip your hand up the bottom of the puppet into the mouth and arms. 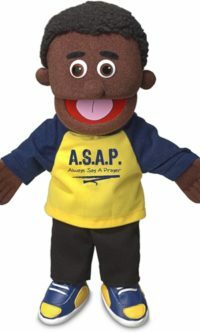 Measures about 12 inches tall and weighs less than 1 lb.